Health Benefits of Garlic, Growing Garlic, Garlic Recipes! Discover health benefits of garlic for the body, skin, hair and nails! Garlic, (Allium sativum), is a bulbous perennial plant related to onions, chives, leeks and shallots. The bulb grows underground with long green shoots emerging above. It’s bulb consist of small sections called cloves. Garlic plants are hearty, pest and disease resistant. Two subspecies are hardneck and softneck. Hardneck garlic is grown in cooler climates, softneck in warmer climates. Garlic is grown around the world, with China being the largest producer. Garlic has been used for making culinary dishes and medicinally for centuries. It’s rich in compounds: allicin, sulphur, zinc and calcium. It has a rich mineral source of selenium. How you prepare garlic for culinary uses can make a difference in whether or not you’re receiving, maximum, health benefits. To reap garlic’s full health benefits use immediately after crushing it. Crushed garlic releases an enzyme, alliinase, causing the formation of a colorless liquid, allicin. Allicin is a health beneficial, organosulfur, compound. Finely chopped and crushed garlic, increases allicin production. Raw garlic is often cooked before eaten. Research indicates cooking heat inactivates alliinase, diminishing health benefits of garlic. Some research claims microwaving garlic, completely, destroys allicin. “The Journal of Nutrition”, published in 2001, indicates 60 seconds of microwave heat and 45 minutes of oven heat both block garlic’s anti-carcinogenic activity. Crushing garlic and allowing it to stand for 10 minutes before 60 seconds of microwave heat, preserves some of it’s anti-carcinogenic activity. Crushing garlic allows time for alliinase to work before heat inactivates it. Garlic is used for many different ailments: common cold, fever, coughs, headache, sinus congestion, gout, asthma, bronchitis, stomach ache, rheumatism, stress, fatigue and more. - Garlic is available in clove form, capsules, tablets and an oil. It can be found in products, with an odor or odorless. Odorless garlic products are made by aging garlic, which are generally less effective. 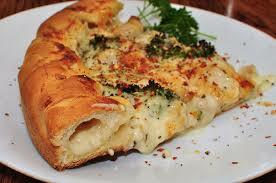 - Garlic is generally safe for most people when taken orally. Know the proper dosage and do not exceed it. Use it as directed on package, by your health care provider or pharmacist. - Store garlic as indicated on package. Store fresh garlic away from light and moisture. 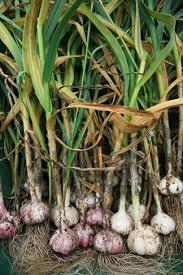 - Learn how to grow garlic, organically. Garlic has large amounts of allicin with anti-fungal, anti-aging, anti-oxidant and skin smoothing benefits. Allicin increases antioxidant levels, combating free radicals that cause skin damage. Prevent pre-mature aging skin. Combat fine lines and wrinkles. Reduce free radicals. Improve firmness, tightness, and overall appearance of skin. The allicin and sulphur content in garlic increases skin’s elasticity. The sulphur in garlic enhances blood flow, giving skin a natural glow. Topical use of garlic oil or gel is used for treating fungal infections: ringworm, jock itch and Athlete’s foot. Some people use it for treating warts and corns, but its effectiveness is uncertain. Prevent tick bites. Prevent the appearance of stretch marks. Get rid of blackheads, reduce pore size, combat acne. CAUTION! Do not apply a thick layer of garlic oil/gel to skin. Over exposure to garlic can damage skin, burning and blistering it. Do not use if allergic to garlic. The allicin in garlic increases blood circulation to the scalp. It reduces hair fall and stimulates new hair growth. Garlic reinforces hair roots, removes scalp toxins and enhances hair texture. Garlic sulfur treats dandruff and prevents re-occurrence. DIY GARLIC RECIPE: Add a clove of garlic to your shampoo or conditioner for use once a month. CAUTION! Excessive use of garlic in shampoo/conditioner can cause dryness of hair/scalp. Add small amount of honey to combat the garlic scent. Honey is a natural hair conditioner too. - Get rid of yellowing nails. - Get rid of dull or brittle nails. DIY GARLIC RECIPE: Add few drops of garlic oil to cuticle cream/lotion. There are many garlic benefits but garlic isn't recommended in all situations. Consider safety tips and cautions before using garlic. Garlic hasn't been thoroughly evaluated by the U.S. Food and Drug Administration, (FDA), for safety, purity or effectiveness. All of garlic’s potential risks may not be known. The FDA states garlic and garlic oil as “GRAS” substances, generally recognized as safe for public use. - Raw garlic can have side effects: bad breath, burning sensation in mouth or stomach, heartburn, gas, nausea, vomiting, body odor and diarrhea. 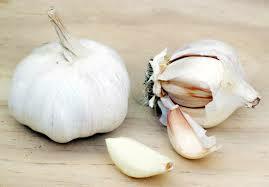 - Garlic can increase or prolong the risk of bleeding. It can affect blood clotting and blood sugar levels. Consult your health care provider, before taking garlic, if you have a bleeding or blood clotting disorder or diabetes. Consult your health care provider if on blood thinning or other medications. 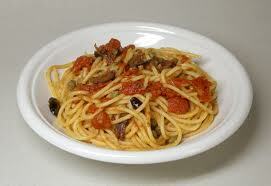 - Consult your health care provider before using garlic, especially, if you have plant allergies. - Do not give garlic supplements to children. Consult physician, first. - Do not take garlic supplements when pregnant or breast feeding a baby, since its effects on an unborn or nursing infant are unknown.